No more scanning emails for resumes! Cloud based recruitment software that feeds application directly into your database from your own custom application page. Because this is your page, the search fields will be your useful custom data that relate to your company’s recruitment needs. You can then request more info, schedule interviews, decline or accept applicants each of which will automatically send your own custom templates. 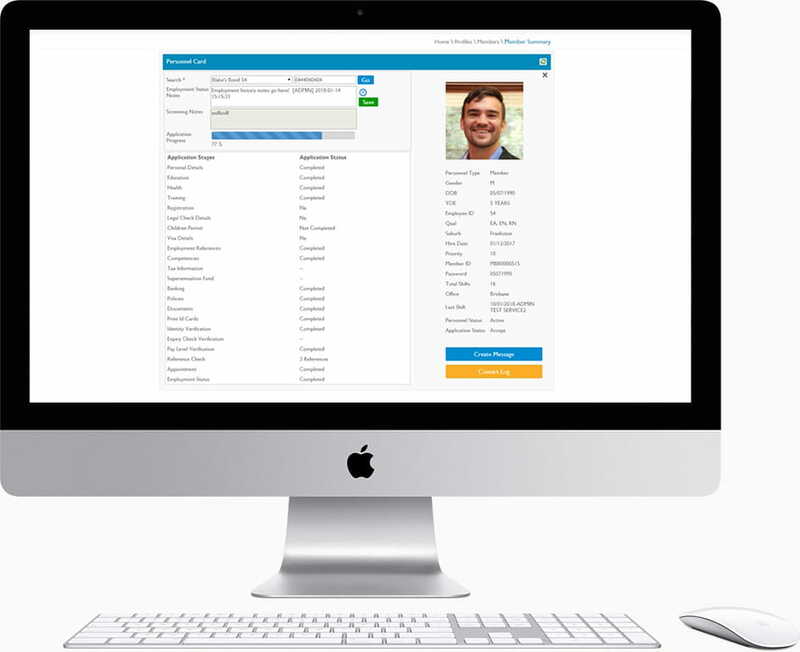 Manage the entire recruitment process from a single screen. 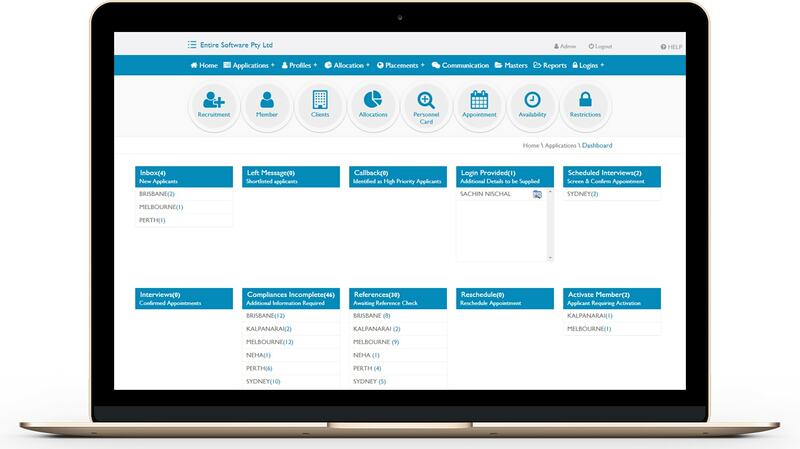 The Dashboard provides a instant overview of how all applications are progressing and where urgent action is required, both at the macro and micro level. Including follow ups, scheduled interviews, references that need chasing and compliances that are still pending. 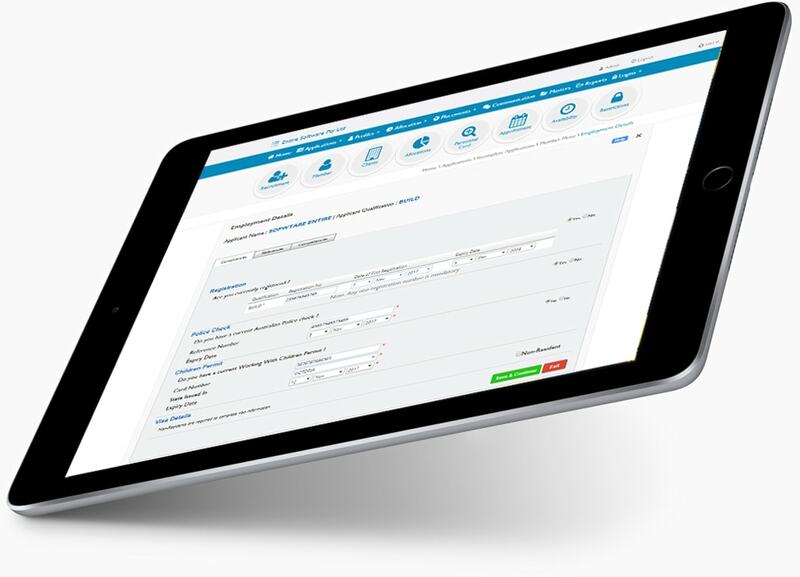 Recruiter smarter with simple portal login’s that allow new applicants to enter their employment details, financial details, answer questions, sign online policies and even upload important documents. Your recruiters can focus on verifying this information and a wholistic evalution of the candidate, instead of time-wasting data entry. Digitalise and centralise all your staff documents. 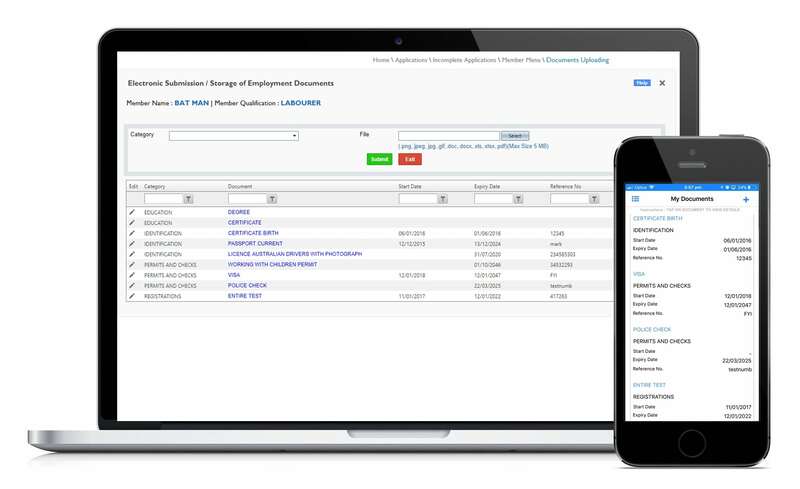 Recruitment management software empowers your internal and external employees to upload documents, and record document details like expiry dates, from any device including mobile apps, with custom levels of easy access per document. Your business can be a completely accountable, secure and professional paperless business. Customise your required compliance for your business. 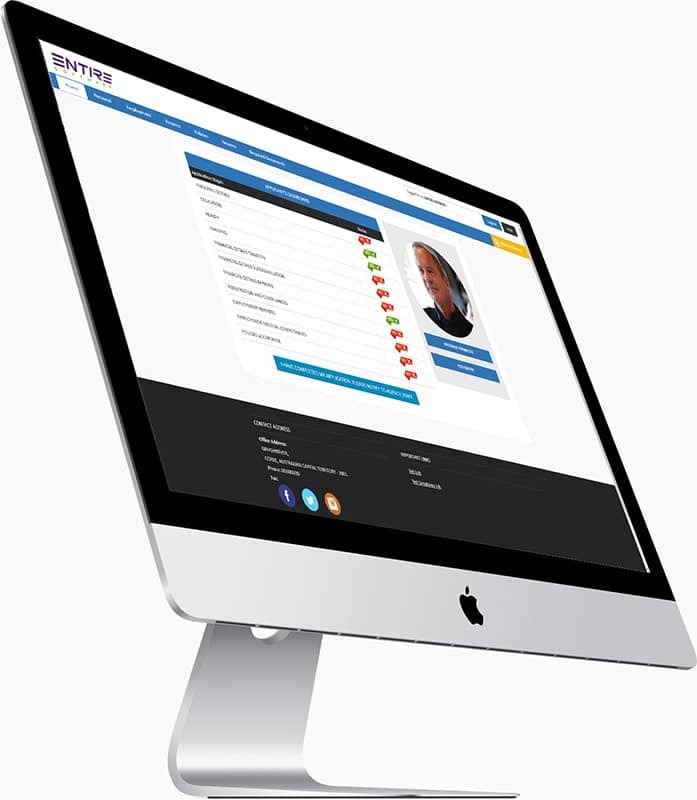 Police checks, White Cards, Visa’s, whatever your compliance needs EntireHR can record, track, notify and eventually suspend staff when these documents are expired. Upon suspension your internal team will be notified and the casual staff member will be removed from the available temp staffing pool. 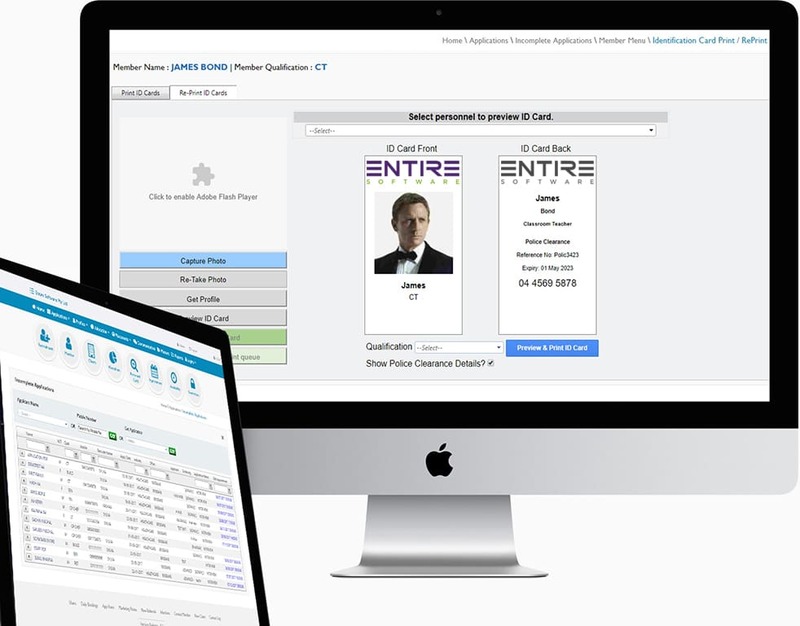 Print ID cards directly from your EntireHR system using the details already entered by your new applicants. ID cards can also include important information like police checks and registration information. The ID cards give clients peace of mind as they help match the identify of the staff with those they can see in their online portals and apps.